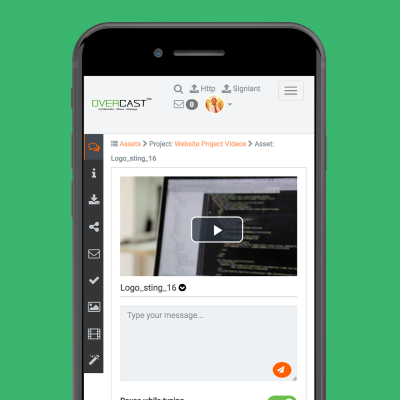 Overcast is an all-in-one tool for managing, sharing and collaborating on video. We make it easy to share video by email – by sending a secure link – or by notification. 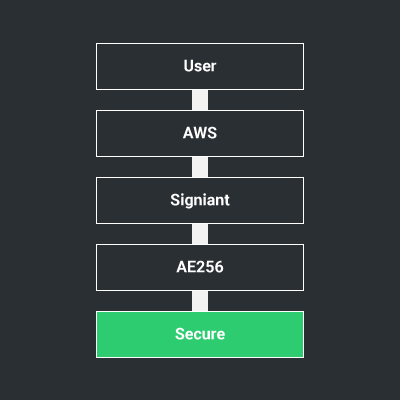 Overcast offers end-to-end encryption and multi-layered security. 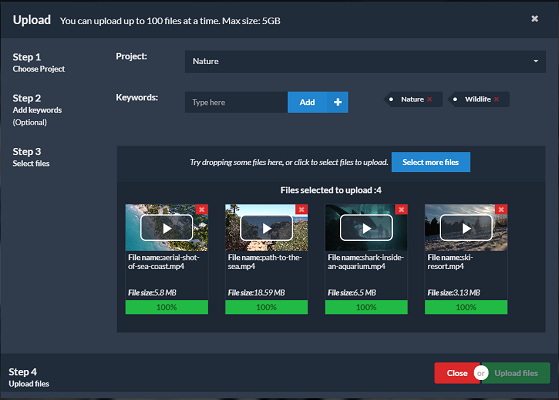 You never have to worry about moving sensitive pre-release content to/from the cloud, your footage will always be safe. Overcast offers high speed and more secure upload speeds for businesses that need to get their content moved quickly. Up to 200x faster upload speeds. 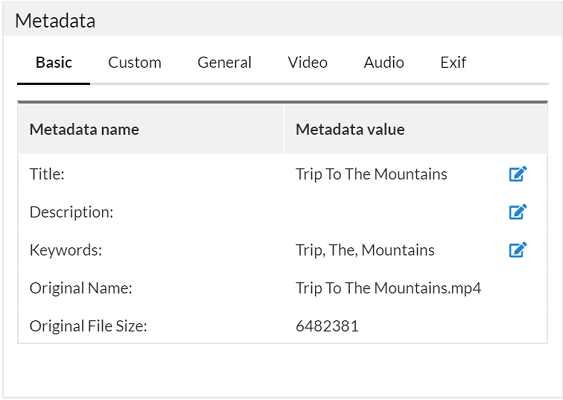 If you and your team need advanced metadata fields, you can customize the platform for your own needs. Make your own system – if it works for you then it works for us too. Everything is searchable. In fact, our platform is storing every comment you make on the actual file. That enables you to search the storage based on your comment. 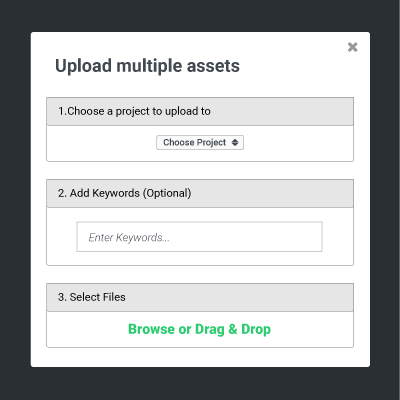 Customise tags an metadata to match your workflow so you can find anything in seconds. 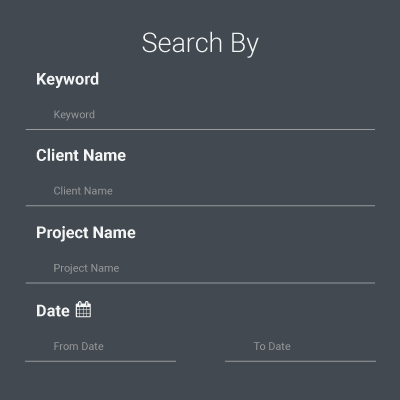 While searching allows you to find certain keywords, the powerful filtering system allows you to find you content in other ways – by date, file type or project. 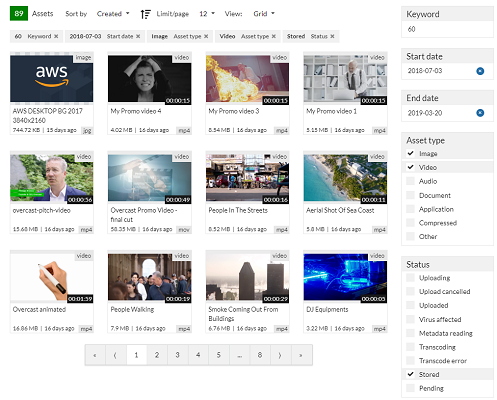 It searches the metadata as well as the comments you make on a video. 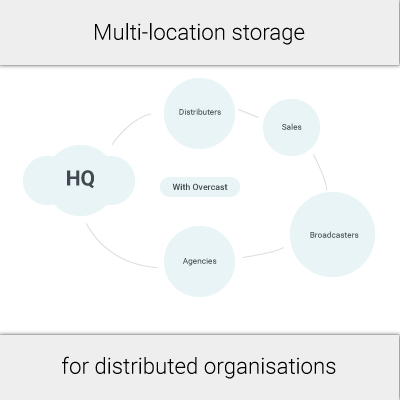 Detailed metadata management that fits everybody’s needs. Our system pulls information directly from your uploaded file. 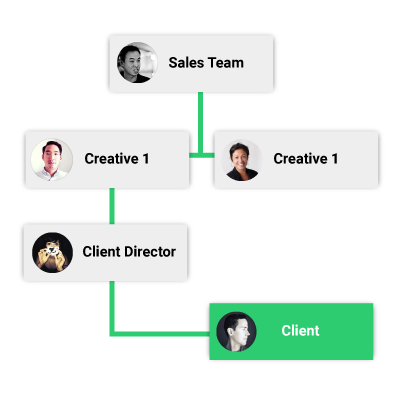 All of the info is presents it in an easily navigated interface. 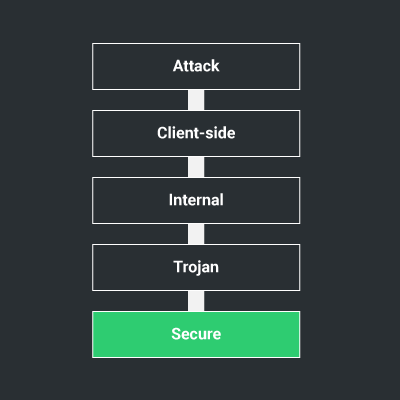 Our clients wishing to run their own security tests are welcome to verify the Overcast security system. All passwords are encrypted and stored in a database using modern cryptography according to OWASP best practices. 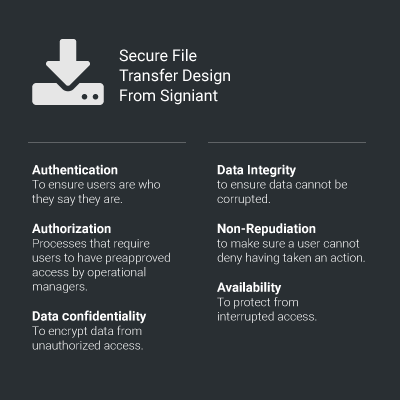 Additionally, Overcast partners with Amazon Web Services and Signiant to provide AES256 data encryption of all files uploaded and downloaded from the cloud storage facility. Overcast stores your content on multiple servers and is designed to provide 99.999999999% durability. Basically, you can on average expect to incur the loss of a single object once every 10,000,000 years. Need to share your early version of a video with your boss or clients? 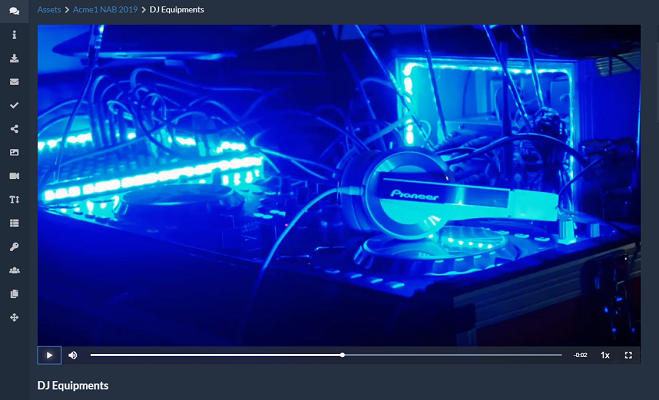 Need to switch your video over to a format best suited for a certain platform? 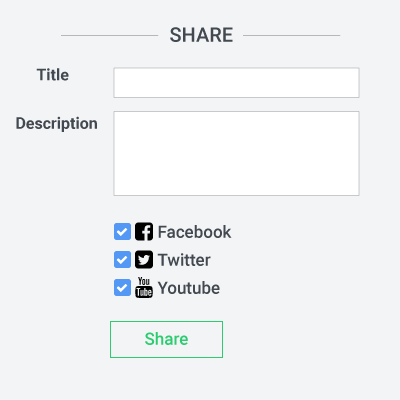 Want to publish directly to social from anywhere? 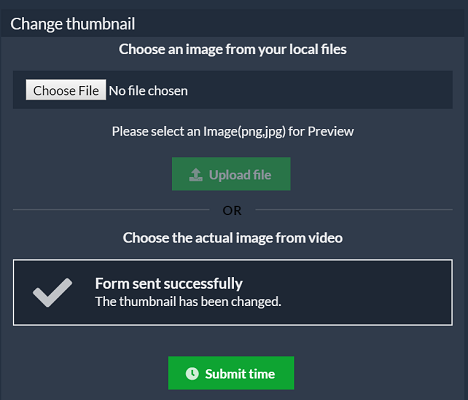 Pick the image directly from the video or choose an image from your files. Advertisers call it click-bait. We just think it makes sense. 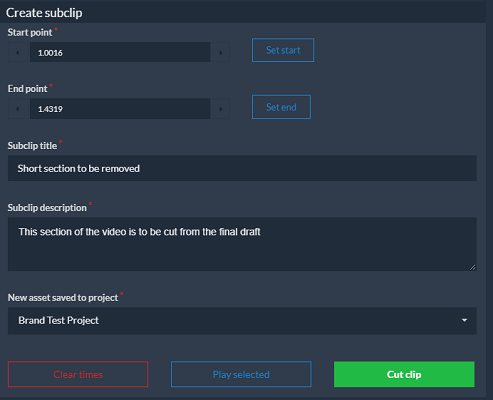 Set a start point and an end point and press “create sub-clip”. Three clicks and you’re done. It doesn’t need to be anymore complicated than that. Take advantage of how different social media platforms rank videos in users feeds by letting Overcast convert them losslessly into the formats and settings they prefer.